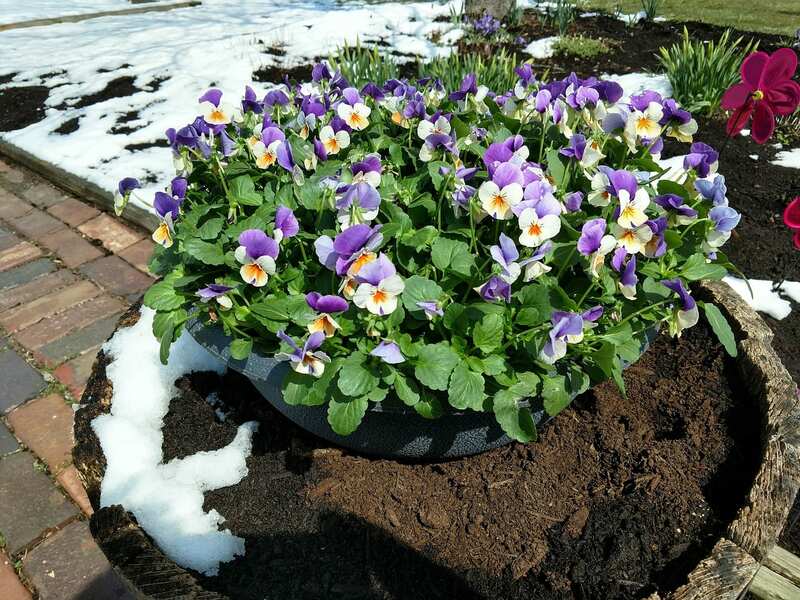 Are you under the impression that the wintertime is the off-season for flowers and shrubs? – Think again. There’s plenty of plants that thrive in the cold weather. Evergreen foliage, with bright berries and vivid flowers, describe many of the plants that love to grow during the winter season. There’s no need for a colorless and lifeless garden at this time of year. Try planting the following flowers in winter planters and bring color and life to your garden during the festive season ahead. This colorful evergreen features strap-shaped foliage that turns purple and pink with bronze tones due to the cold weather. This plant is an excellent choice for contemporary themes. This festive-looking plant features low-spreading evergreen leaves with beautiful red berries that suit the theme of the season. During the height of winter, you can expect the leaves to turn a reddish color. This hardy reddish-colored grass requires a shady spot to grow. The Red Baron looks its best with the sun slipping toward the horizon in the background. These hardy and free-flowering plants are a neat addition to your indoor winter garden. We love these hardy flowers. Their marron, yellow, purple, and white leaves keep flowering all the way through winter – apart from in severely lousy weather. You can expect them to recover well from storms and flower all the way through until June. Hardy and rugged, this plant is an evergreen species that features clusters of pink buds throughout the wintertime. This plant grows well, even in the harshest weather and works well when planted next to heathers. These perennial evergreens feature bronzed, curly leaves that sometimes arch. It’s a hardy species that looks fantastic throughout the winter. Arbor Hills will work with you to provide the most beautiful Nebraska grown trees available. Most trees can be delivered and planted within 5 to 7 days if you reside in the Omaha metro area.